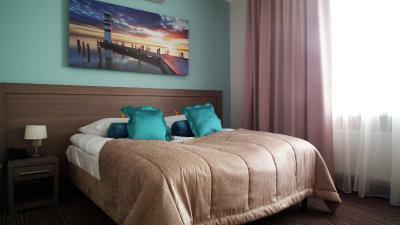 Lock in a great price for Hotel Gromada Arka Lux – rated 8.4 by recent guests! The Hotel was in walking distance to the center of town / old city. 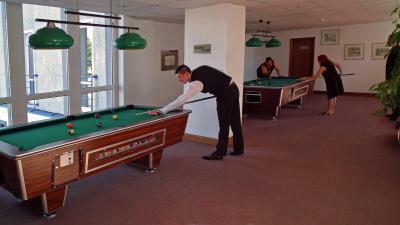 Ideal location near the centre, big international hotel with English-speaking staff, spacious room, very clean, as well as the bathroom. Fabulous breakfast, good evening restaurant. 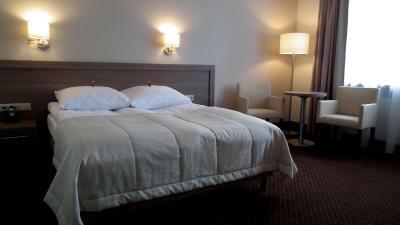 Nice and pleasant stay, friendly staff, nice and spacious room. 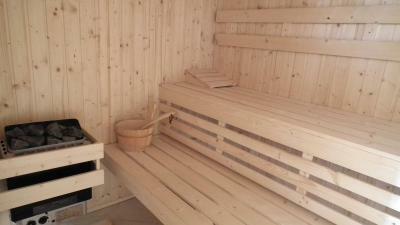 It was clean and nice, above average standard with clima in room. The room was airy, not small or so. Also, I requested a non-smoker room and it was! Zawsze tam wrócę. Super profesjonalny personel.Obsługa na medal. Duży pokój nowoczesnym wyposażeniem. Jeżeli pobyt w Koszalinie to tylko w tym hotelu. Kolejny pobyt tylko utwierdził mnie w przekonaniu, że jest to najlepszy hotel w Koszalinie. Miła obsługa, duży, czysty pokój z wygodnym łóżkiem. Pyszne śniadanie i kolacja. Panie w recepcji oraz panie pokojowe pamiętały mnie, co bardzo miło mnie zaskoczyło. Obsługa hotelu bardzo miła i pomocna, począwszy od recepcji po panie sprzątające, portierów i kelnerów. Duży, czysty pokój z bardzo wygodnym łóżkiem. Śniadania bardzo dobre i pyszna kawa z ekspresu. Na miejscu kantor wymiany walut co było dla mnie dużym udogodnieniem. Lokalizacja w centrum miasta to dodatkowy atut. Polecam i na pewno tu wrócę. 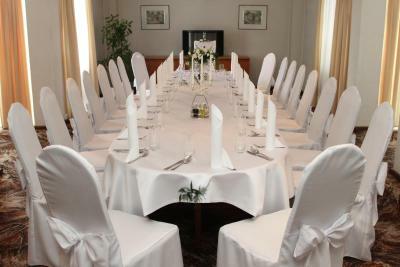 Hotel Gromada Arka Lux This rating is a reflection of how the property compares to the industry standard when it comes to price, facilities and services available. It's based on a self-evaluation by the property. Use this rating to help choose your stay! One of our top picks in Koszalin.The prestigious 4-star Hotel Gromada Arka Lux is a hotel with long traditions and newly refurbished in 2013 it offers classic rooms with free WiFi and a private bathroom with shower. There is an air-conditioned restaurant and an aperitif bar. 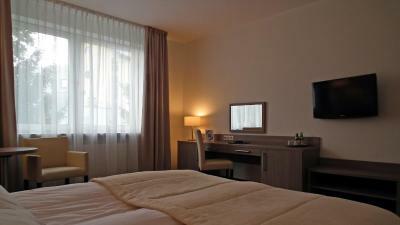 Each room at Gromada offers warmly decorated interiors and a TV. There is also a work desk and a telephone. The restaurant serves a breakfast buffet. A wide variety of drinks can be enjoyed in the bar. 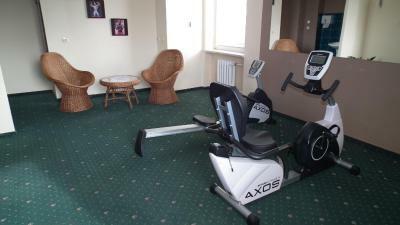 The hotel is located 1,650 feet from the Koszalin Train Station. There is free on-site parking, as well as a garage available at a surcharge. 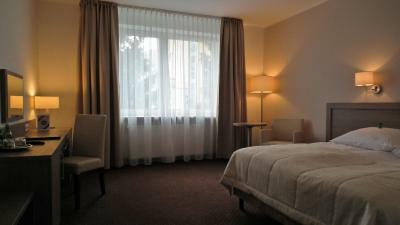 When would you like to stay at Hotel Gromada Arka Lux? 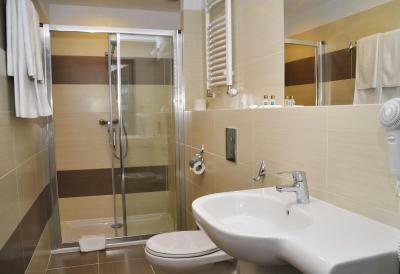 House Rules Hotel Gromada Arka Lux takes special requests – add in the next step! 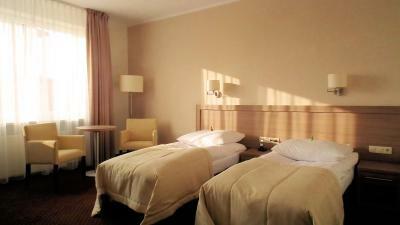 All older children or adults are charged PLN 58.20 per person per night for extra beds. Hotel Gromada Arka Lux accepts these cards and reserves the right to temporarily hold an amount prior to arrival. The bed was a bit to stiff for my back, but in general I slept well.